Jože Trtnik was born in 1974 in Ljubljana. He works as a sound designer-recordist. 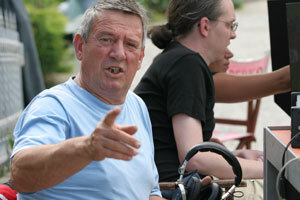 He started working as a sound-recordist back in 1969 at a film production company Viba Film. By now he has already recorded and designed sound in more than a hundred short films and fifty feature films, most of which were shot in Slovenia and in republics of ex-Yugoslavia. It should be stressed out that Jože Trtnik collaborated with prominent film directors, among them with Živojin Pavlović (in the film Body Scent) and Bata Čengić (in the film Heads or Tails). His sound design in a short film Alone (directed by Pavle Grzinčič) brought Jože Trtnik a Gold Award at the 27th Film Festival in Belgrade. He was also awarded at Slovenian Film Festival in Portorož for the sound design in a feature directed by Janez Lapajne, Short Circuits. Most of the films for which Jože Trtnik designed sound won awards at film festivals in Slovenia and abroad.